At Roots Chiropractic, Dr. Shadley and Dr. Tom Centofanti believe in providing practice members with the best chiropractic care possible. Through putting the needs of each practice member first and understanding the unique and specific care that each person deserves, we’re able to provide your body with exactly what it needs to thrive for years to come. Our doctors believe that your family’s health is a treasure, especially your littlest members. After attending the renowned Palmer College of Chiropractic, Dr. Shadley and Dr. Tom are happy to be in Mt Lebanon spreading the positive message of chiropractic. Learn more about their journey and how they can help you! Unlike other chiropractic offices, Roots Chiropractic is proud to offer several different adjustment techniques. 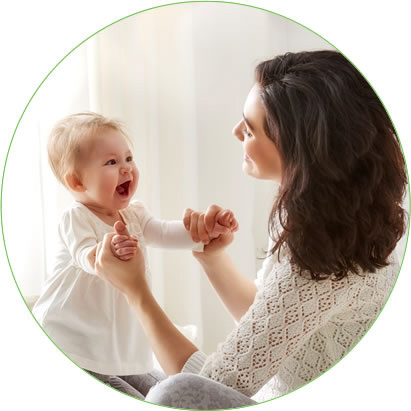 Perfect for babies, pregnant women, grandparents, and everyone in between, our doctors understand the importance of specific and comfortable care. We’re happy to adjust our practice members based on their technique preference and believe in working as a team to accomplish your goals in health. If you’ve ever wondered how chiropractic care can improve your quality of life, we’re ready to help. Contact chiropractor Mt Lebanon today to schedule your first visit. Our office has evening hours to better accommodate the needs of our practice members. We can’t wait to take this journey in health with your family! Dr. Shadley specializes in providing safe chiropractic care for children and pregnant women at Roots Chiropractic. In children, chiropractic care can make a world of difference--reducing interference in the nervous system can address issues from ADHD to colic and ear infections. Additionally, many women find that seeking chiropractic care during pregnancy can lead to an easier birth as well as less pelvic, hip and back pain.